New hats and ponchos have come in just in time for Autumn! 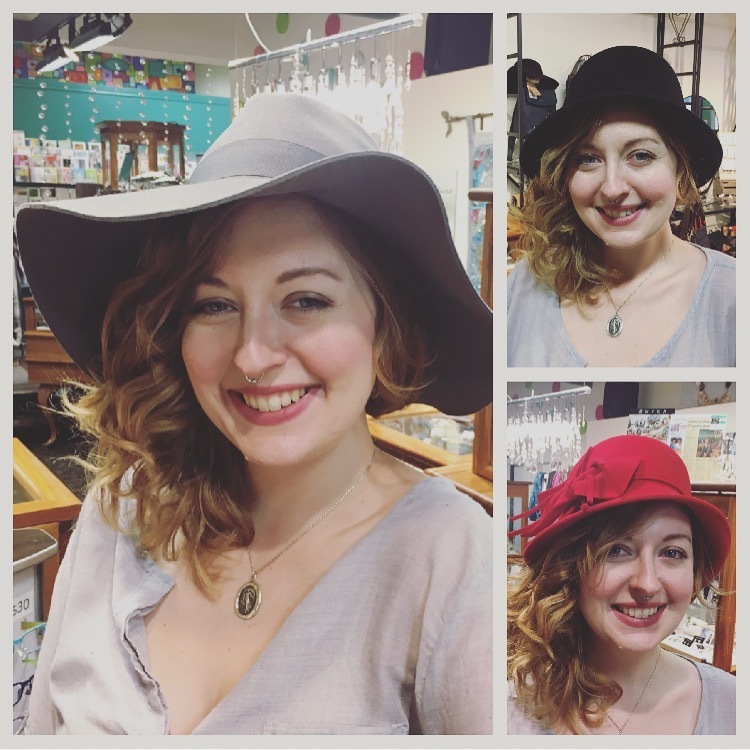 Delux has blessed us with these amazing new Fall hats. Whether your colour is red, black, burgundy, purple, brown, navy or grey, you're bound to look fabulous in one of these. And to go with your amazing new hat, check out these toasty warm ponchos! 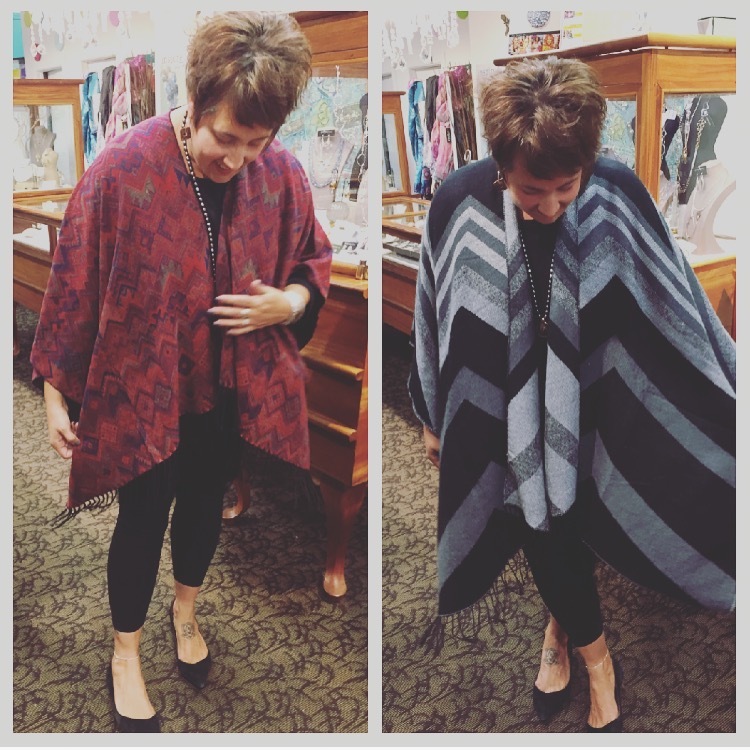 We have many different styles and colour combinations as well, including these wraps that Glenda is modeling. And again, come see before she steals them all. Hats are to Jessie what ponchos are to Glenda. Hope you're enjoying this beautifully chill weather!